Casimiro Rodriguez is on a mission to make her country’s agricultural future organic. The early ’90s were not a good time to be Cuban. The nation had been propped up by the Soviet Union for decades, and when the USSR collapsed in 1991, so did the Cuban economy. The nation imported most of its food from the Soviet Union, along with fertilizer, farm equipment and tractor fuel. Millions faced starvation when those imports suddenly ground to a halt. The average Cuban lost 20 pounds. Fidel Castro euphemistically referred to this time as the “Special Period.” During this dark era, Leidy Casimiro Rodriguez and her brother moved with their father back to the family’s ancestral farm, which was an abandoned and eroded plot at the time. Cubans were desperately scrambling to feed themselves and, because agrichemicals and tractor fuel were scarce, the farms that emerged employed largely organic methods, often powered by draft animals. The nation is now well known for its organopónicos — urban gardens that sprang up in every vacant lot and empty patch of earth — many of which are still in operation today. But as Cuba’s economy recovered, larger rural farms slowly gained access to agrichemicals and other tools of industrial agriculture. Today, Cuban farmers have one foot in the industrial model and the other in the organic-by-necessity approach cobbled together during the Special Period. Now that the country increasingly has access to global markets, which approach will reign? 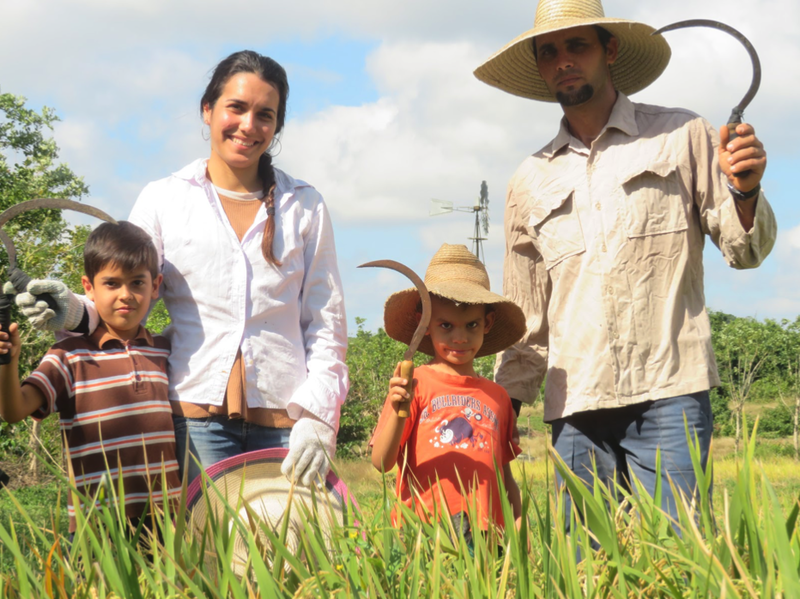 Casimiro Rodriguez, the first Cuban to receive a PhD in agroecology, is on a mission to make her country’s agricultural future organic by design. This interview has been translated from Spanish and edited and condensed for clarity. 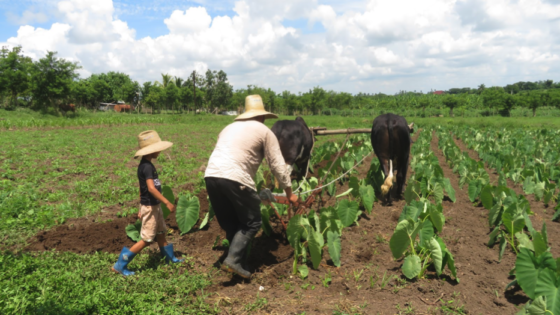 Modern Farmer: What was your experience of agriculture in Cuba as a child? How did that change during the Special Period? Leidy Casimiro Rodriguez: When I was a kid, Cuban agriculture was highly dependent on fossil fuels and chemical inputs, imported mainly from the Soviet Union. But at the same time, there were still many small family farms that used traditional practices, like plowing with draft animals. During the Special Period, Cuba stopped receiving those inputs, which revealed the vulnerability of the conventional model while demonstrating the strength and resilience of the traditional model of family farming. New laws emerged to support the agroecological model, which eventually helped to ease the crisis in food production. MF: What inspired you to return to the family farm, and what was your vision for renewing it? LCR: In 1993, in the midst of the Special Period, my dad brought me and my brother to live on the family farm, which had been abandoned because the land had become so degraded that it was no longer productive. The vision was to restore fertility and return the farm to health and experience the independence of living and farming in tune with nature. The Special Period inspired this desire to become self-sufficient in food. MF: Can you tell us a bit about the farm today? LCR: La Finca del Medio is 27 acres of integrated livestock, fruits and vegetables. It’s very biodiverse — we supply 95 percent of our own food. We make bread with our own plantain flour and soap from coconut oil, as well as fruit liqueurs. We use renewable forms of energy for as much as possible, including solar ovens and gravity-fed irrigation, and we have a windmill for power and biodigesters for fuel. We’ve also opened up the farm for hundreds of events with guests from all over the world who come to learn about restoring degraded soils and experience the culture of coexistence. MF: How has your academic research helped to develop and realize that vision? 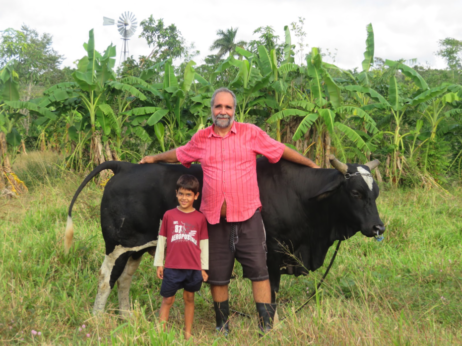 LCR: Living on the farm while pursuing my academic career was very positive because I could see the results of what we were doing and how important this was for other farmers in Cuba and throughout the world, both ecologically and financially. Through my doctoral thesis, I was able to establish scientific validity for our family’s farming practices and develop principles for translating those practices to any other family-farming context around the world. MF: You’ve developed something called the socioecological resilience index. What is that? LCR: It’s a new analytical tool to assess the social and ecological resilience of a farm or farmland, but it also serves as a conceptual, methodological and practical framework for farms transitioning to agroecology. The idea is to identify critical points in the design and management of a farm system, including where there is leverage to improve social and ecological outcomes, and create a strategy for making those changes. It can be applied at the farm scale by rural families or at a larger scale by policy makers working to change the food system. MF: You are involved in a nationwide initiative to restore one million hectares of degraded agricultural land. What does that look like? LCR: It’s a plan for 100,000 Cuban families to establish 10-hectare farms on land that is currently sitting idle. With the proper public policy in place, these farms could produce enough food for more than half the population while respecting ecological diversity and empowering rural communities. I’m conducting research at the Universidad de Sancti Spíritus to establish the feasibility of this vision. MF: I suppose you know it’s feasible because you’ve lived that vision. LCR: From my own experience with farming, I can attest to the fact that it’s possible to live in a sovereign and sustainable manner on small family farms, especially if there are supportive policies. Besides doing good for the land, it’s possible for farming families to be prosperous and create long-term value with every single drop of sweat they pour in. Hope Ms. Rodriguez’s vision expands to the Bahamas, Puerto Rico, Haiti, perhaps even the US!